Welcome to Day #2 of the MCT Release Week! Are you excited? I sure am! We are show casing two more sets today! And one of them is a Rosette die! YES! And I am absolutely in love with this die! Its so simple to use! Today I made this beautiful card using the new rosette die! I used a few scraps laying around and of couse My Creative Time stamps and dies! This card was quick and simple to put together. These Rosette Dies are great for birthday cards! I just love how it came out! Thank you for stopping by today! Make sure you stop by the rest of the design team for more sneak peeks! Big crafty hugs! I have to admit rosettes are my new favorite because they work for everything! !Your card looks simple but when you look closer you really can see the different layers of the card! Good job! Beautiful card, love the doubled up rosette. What a pretty card! Love the colors and the layered rosette! I LOVE your cards and the colors are GREAT! Nancy, love the colors you have chosen for the card! Nancy <3 the card....beautiful colors!! Oh wow Nancy your card is so beautiful. Gosh you have an eye for color. Your rosette turned out so pretty and love the chevy paper you chose. Whomever receives your card is in for a real treat and make their day. I love how you used Miss Emma's goodies. So pretty, Nancy! Love all of the dimension this gives your card! Beautiful card...love the layered rosettes! What a great B-day card - I like how you showcased the sentiment with a partial die cut. Beautiful birthday card! Awesome papers and LOVE the rosettes! What a bright and happy little card! That is a beautiful birthday card. Love how you used both rosettes with the gem stone. Great job! Love the colors of your card - it is really cute! I love, love your fun and festive card! 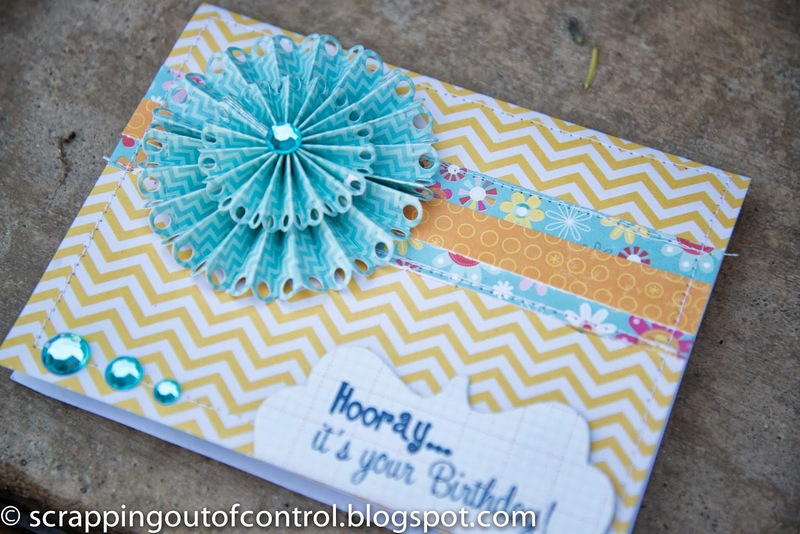 I love how you stacked the two sized rosettes together, really makes for a fun card. Cute card! Love how you used both sizes of the rosettes together on this card! I would not have thought to put the little rosette on the bigger one. Great look! This is so pretty! Love this!! What a adorable Birhtday card! Love the rosettes and the colors! TFS. Such a beautiful card! Love the papers and those rosettes are awesome! The colors you choose have a summer feeling, I just love them. Great job. I like how you layered the rosettes. Thank you for sharing. cant wait to see tomorrows sneak peaks. 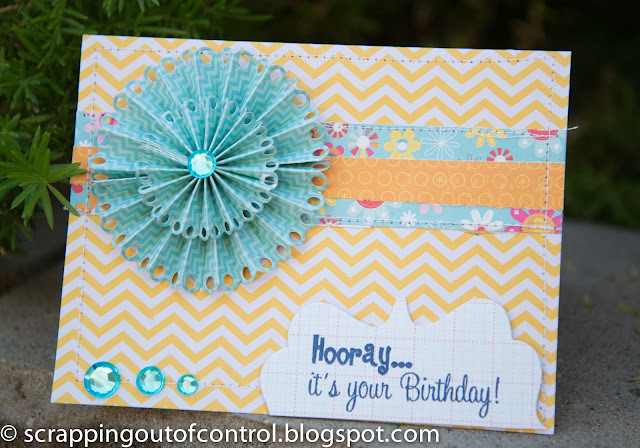 I agree that the rosette dies make a beautiful embellishment to a Birthday Card. I like the papers you chose, the stitching and the gems are perfect additions. Great job! Very Cute. I love how you layered the rosettes. I need to get the rosette dies. They are going to be a must have. I'm just loving the rosettes!! Great job using it for a birthday :) Fun Fun! I ab-so-lute-ly love this card. I'm a blue fanatic, so pretty. such a cheerful card, love all the colors and papers! Such pretty colors and patterns--I like the bling. The two together make quite a statement. Sweet card. 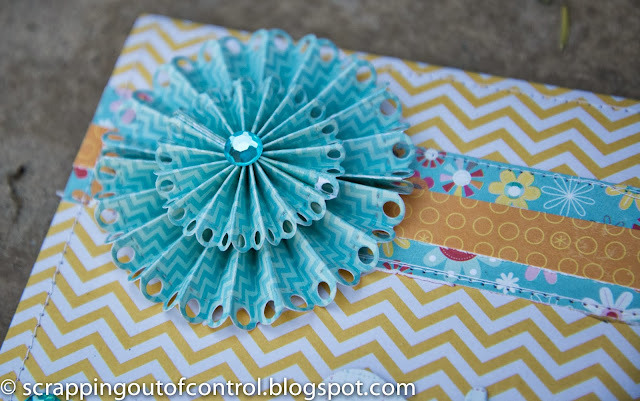 I love seeing the double layering of the rosettes, such super cute projects. Keep them coming. Love the color choices you made! I also love how you layered both sizes of the new rosette dies. Thanks for inspiring us! Very Pretty Birthday Card! Love The Color Combination You Used! Pretty card & colors. Like the double rosette. I LOVE your card. Love how you added the rhinestone to the center. TFS. Nancy ~ Oh I wanted to try the double layer rosette too! But not sure my would look as GORGEOUS as this!! The papers are FAB too!